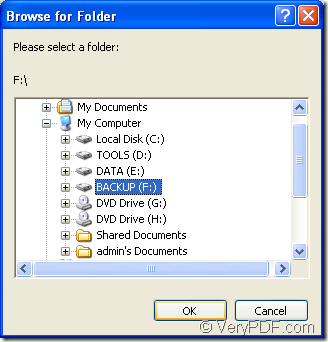 ← How to update PDFcamp Printer from 32-bit to 64-bit Windows? It is not an easy task for the application VeryPDF PDF to Excel OCR Converter to extract text from scanned PDF to XLSX file. If you can follow the steps introduced below, you will be able to fulfill the work perfectly. 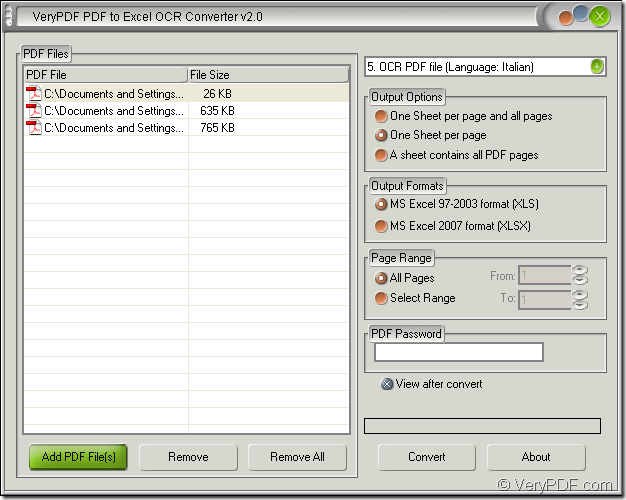 PDF to Excel OCR Converter is an OCR application which can recognize the text in scanned PDF exactly and quickly. By using this application, you can also convert the latest Excel format—XLSX. Before starting the work, you must have the application installed on your computer. 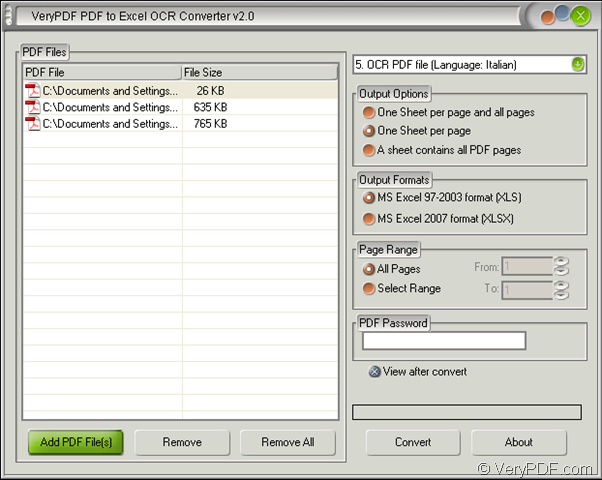 The free download link of PDF to Excel OCR Converter is www.verypdf.com/dl.php?file=verypdf2excelocr.exe. This is for you to get the free evaluation version. If you want to get the official version, just visit the homepage of the application to purchase it: http://www.verypdf.com/pdf-to-excel-ocr/index.html. There are four steps in the conversion from scanned PDF to XLSX. Do as follows, you will master the application in a wink! Firstly, please open the application. If you have created a desktop icon for PDF to Excel OCR Converter, you can directly double click the icon or right click it and choose “Open” option in dropdown list. If not, you need to click “Start”—“All Programs”—“VeryPDF PDF to Excel OCR Converter v2.0”—“VeryPDF PDF to Excel OCR Converter v2.0” to open the application. If you remember the installation path, you can find the application and open it through the path. Secondly, you need to input scanned PDF document into opened interface of the application. Please see it in Figure 1. Please click “Add PDF File (s)” or right click the file list of the application and you will see a dialog box named as “PDF to Excel” come out. Then please find the scanned PDF documents on your computer through this dialog box and open them by clicking “Open” button. You can add a batch of PDF document and convert them to editable XLSX format file together. Thirdly, just make settings for the target file. In the dropdown list top right, you need to choose the related OCR option to extract text from scanned PDF document. In “Output Options” group box, please choose a suitable layout for the target file. In “Output Formats” group box, you need to check “MS Excel 2007 format (XLSX)” and in “Page Range” group box, you are allowed to convert all pages or some pages of the scanned PDF to XLSX. Lastly, please click “Convert” button to open “Browse for folder” dialog box in which you can find the location for the target files. Then please click “OK” button to run the conversion. Just see the dialog box in Figure 2. Here are all the operations about the conversion, have you done it successfully? This entry was posted in OCR Products and tagged scanned PDF to XLSX. Bookmark the permalink.